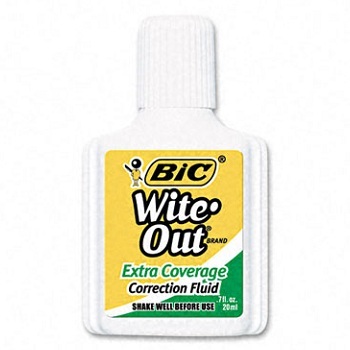 The Original Fast Drying White Correction Fluid... and still the best! Tipp-Ex® correction products are known and appreciated worldwide for their quality, affordability and ease of use. Foam wedge applicator for clean and easy use – no clogging. Size - 20ml capacity bottle. Brilliant White. 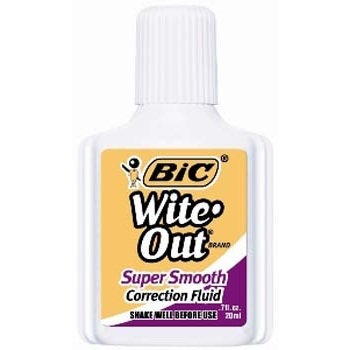 Classic formula All-Purpose White Correction Fluid for everyday corrections. Fast drying with excellent coverage. No thinners required. 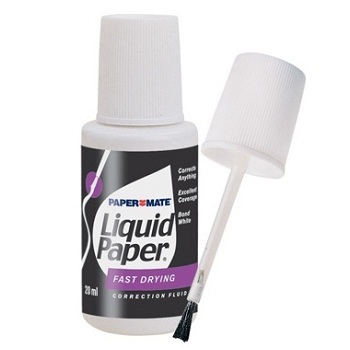 Use on any faxes, laser copies, pen ink and most marker inks. Size - Long lasting 20ml capacity bottle. White Bond. 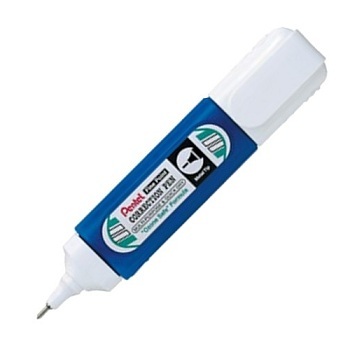 Includes handy brush applicator in cap for easy application. Price each - Order 20 to receive one pack. 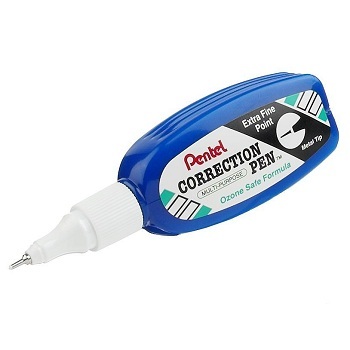 Convenient 2 in 1 Correction Combo offers both a large foam wedge and a precision correction pen tip all from the one bottle. For large corrections: twist cap off for foam brush applicator. 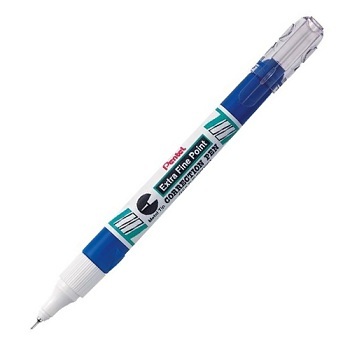 For small, precise corrections: pull clear cap off for correction pen tip. Convenient and time-saving for professionals and students. Fast drying fluid with premium coverage. Ergonomically designed for your comfort while you make your corrections. 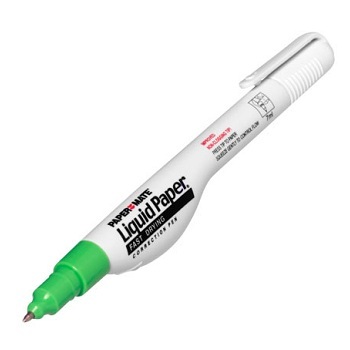 Featuring a comfort grip, you can squeeze out the correction fluid to correct all mistakes simply. Metal point applicator. All purpose, fast drying fluid. Dispenses fluid exactly where needed and the valve-controlled flow makes corrections neat and accurate. All pens give excellent coverage on any surface, and can be used against a ruler or edge for straight corrections. Steel Point with 4mm sleeve. Low-odour, ozone safe formula. 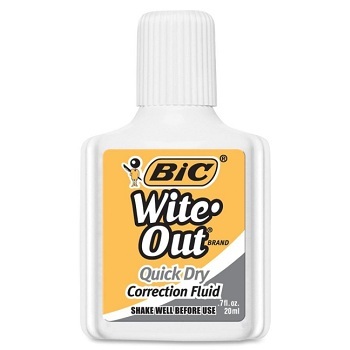 Correction fluid with quick-dry formula provides reduced dry time. Foam brush applicator makes neat, precise corrections - no mess, no fuss. New style splay proof foam brush (wedge) maintains its shape during its working life. 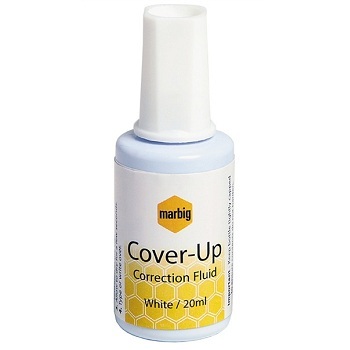 Correction fluid dries to a super smooth finish with no lumps or bumps. Extra Coverage formula covers the toughest mistakes i.e. permanent marker, red ink etc.